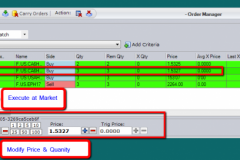 Overview of the PhotonTrader Order Manager feature. 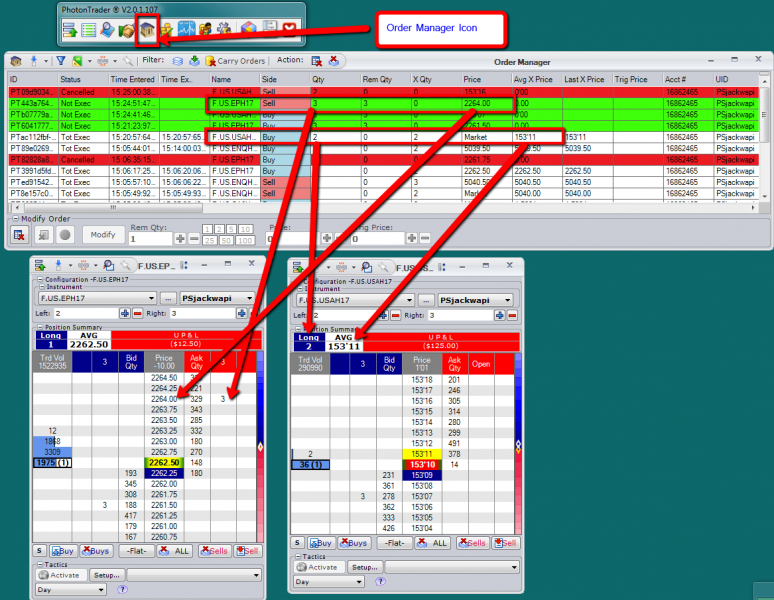 The Default Window of the Order manager shows the Executed Trades, Working Orders and cancelled orders for all of the accounts. 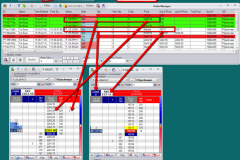 Left clicking on the column heading will sort for that particular field. 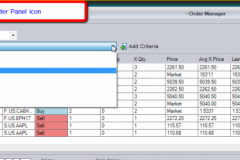 Quick filter can be done by clicking on the Show All Working Orders, or Show All Executed orders icon. Custom sorting can be done by clicking on the Filter Panel icon, and then choosing the condition desired from the drop down menu. 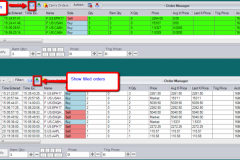 Working orders can be Modified, Executed, or Cancelled from the Order Manager Screen.